Jonah Keri grew up an Expos fan, attending as many games at Stade Olympique as he could. Which helps explain how he ended up writing a book about a team that played its last game a decade ago. 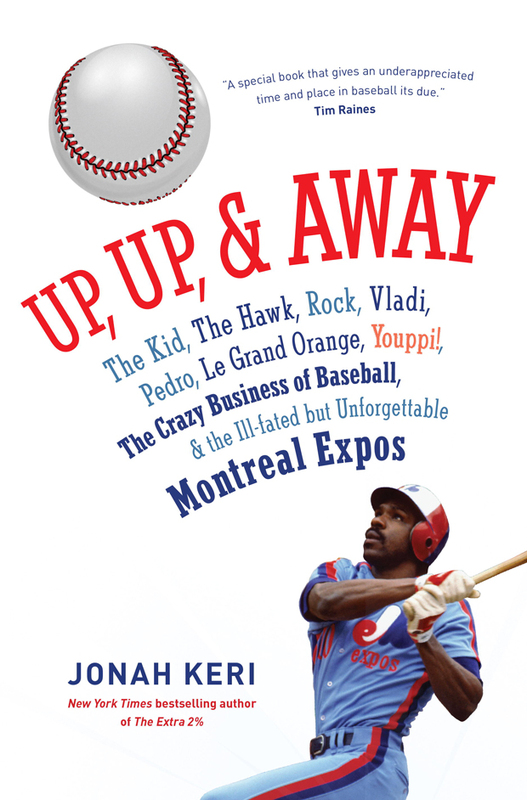 Fortunately, he is also an accomplished journalist and author, which definitely explains why “Up, Up, & Away: The Kid, The Hawk, Rock, Vladi, Pedro, Le Grand Orange, Youppi!, The Crazy Business of Baseball, & the Ill-Fated but Unforgettable Montreal Expos” is such an enjoyable work. Keri is no fanboy. But he admits to being one as a kid, and when he writes about those days with an endearing wonder at his youthful foolishness, it touches the inner child in all of us. The backbone of the story rests on dozens of interviews with former players, front-office members and media types that lend now-it-can-be-told perspective and help recreate the joyous atmosphere of a franchise that was unique in so many ways.